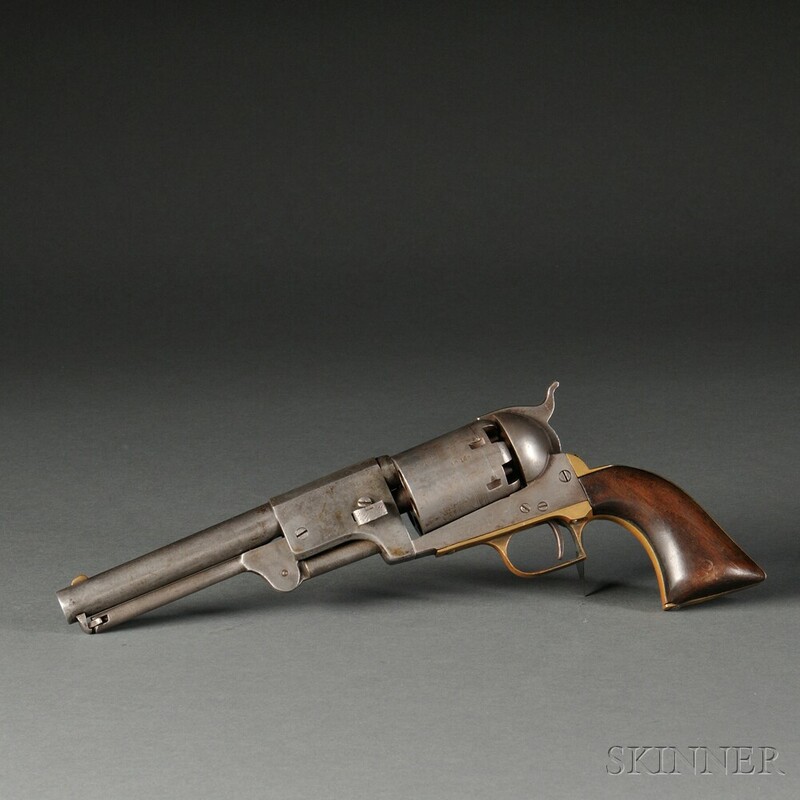 Colt Second Model Dragoon, c. early 1850s, serial number 10135, all matching numbers including wedge, brass triggerguard and backstrap, left side of steel frame marked COLTS/PATENT, top of barrel marked ADDRESS SAML COLT NEW-YORK CITY-, cylinder has some scene remaining and serial number 10135, barrel lg. 7 1/2, overall lg. 14 5/8 in. Grips have a few light dings, very little finish remains, and some cylinder scene remaining.